Tryp Cayo Coco is located on the island of the same name, a small islet on the north coast of Cuba. Close to Cayo Guillermo, another exotic Cuban island, guests are able to visit other Melia Hotels on the adjacent Cayo Guillermo Island. With 502 double and single rooms plus 6 spacious suites the hotel offers a nice mix of varying levels of comfort from standard garden view reviews to sea view suites and superior rooms. 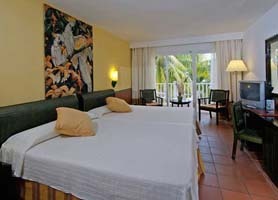 All rooms offer terrace and ample balcony for sitting out and absorbing the beautiful tropical views. This all inclusive resort is set in lush tropical gardens and just a few steps from the beach and crystal clear Caribbean Sea. Snorkeling and diving are particularly attractive pastimes in The Jardines del rey area of Cuba which boasts one of the most active coral reefs of the planet, recently featured on CBS news as “the place” to visit for underwater activities such as diving and snorkeling. Particularly impressive is the spectacular lagoon separating the hotels along the coast and impressive beach and shoreline of this tiny island. The Tryp Cayo Coco Resort is just 15 minutes from the Jardines del Rey international airport but can also be reached via the causeway from the mainland and Ciego de Avila. The tastefully furnished rooms adorned in pastel colors, offer satellite TV with a nice variety of international channels, telephone, mini-bar and free safe. Tryp Cayo Coco is also a great place to eat, offering international food at the buffet style restaurant with available chefs to conjure up great dishes from the fresh choice meats and fish or, simple platters of precooked dishes. The A la carte restaurant, which requires pre-booking for dinner, is also excellent, specializing in fish and seafood. A further gourmet restaurant requires formal dress and is open in the evening only, it also offers a fantastic assortment of meals with an ample menu and a great selection of wines. Our favorite is the BBQ grill which offers some amazing steaks and broiled vegetables in its outdoor setting near the pool. Finally, the Tryp Cayo Coco has both a Chinese and Italian restaurant to round off the food options at the resort but, these again, are only open for dinner, limiting breakfast and lunch to the buffet, pool restaurant or BBQ area. It’s pretty easy to find things to do at Tryp Cayo Coco as the entertainment team are exceedingly good. Whether it be Spanish dancing lessons, Cuban salsa lessons, horseback riding, tennis, volleyball, pool games, you name it, it’s available all day every day at the Tryp Cayo Coco. The two outdoor fresh water pools are immense and have recently been refurbished in 2012 with a brand new kid’s area. Talking of kids, the mini club at this hotel is excellent and will certainly play a large role in keeping families with kids busy. However, Tryp Cayo Coco is not just a family resort as it lends itself well to both couples and singles alike due to the open atmosphere and excellent all-round entertainment. Tryp Cayo Coco is therefore one of our choices in Cayo Coco and Melia runs this hotel like clockwork, a great place to stay. 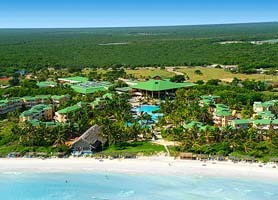 Hotel Tryp Cayo Coco is usually in very high demand and, as such, should be booked in advance. Our booking program allows reservations at Hotel Tryp Cayo Coco without down payment or deposit which will guarantee your dates and also allows preferential modifications should your dates change in the future. Our booking process is unique because it shows the best rate from all of these for Hotel Tryp in Cayo Coco Cuba and the types of rooms available. 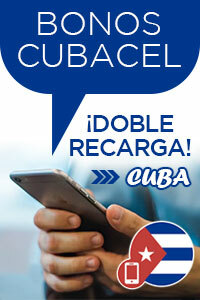 Our Hotel Tryp Cayo Coco rate comparison is an industry first for Cuban Hotels. Once you’ve compared the rates, finalizing the booking at Hotel Tryp Cayo Coco takes just seconds and an immediate confirmation is provided in real-time.